Want to learn what providing support for our Club can do? Here is the happy tail of Wayne who came all the way from Kentucky. 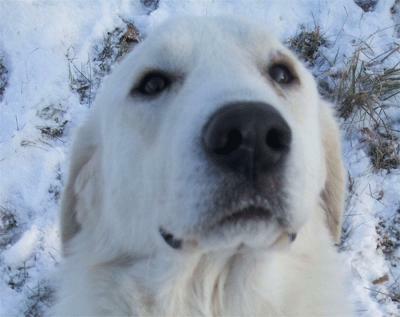 Wonderful Wayne has found his forever home with the parents of another rescue adopter, Balto! 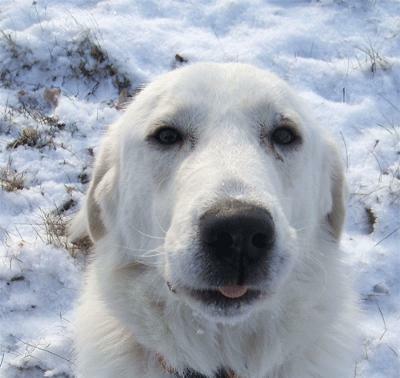 They loved their grand-pyr so much, they decided to adopt their own. Wayne, with his gentleness, is a good match for their old dog and cat. He is well-loved and happy. It's been a long trip from death-row in Kentucky to being curled up on a couch in Northern Ontario. Our thanks to Wayne's new loving family. May you have a long and happy life together. Wayne, aka "Quenton" is a young (less than one year) neutered male. 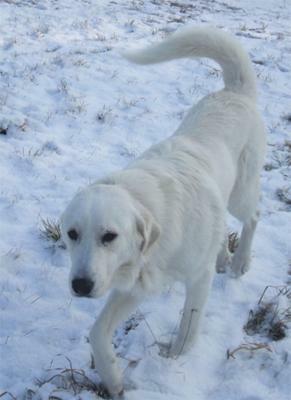 He is very affectionate and good with other dogs and is very clean in the house. His young age means he still shows a lot of puppy behavior such as chewing household objects such as blankets or gloves. He is very well-behaved with children. He is described by his foster mom as being the sweetest thing ever! He has a lovely temperament and loves everyone and everything. He is gorgeous and just an overall sweetheart. 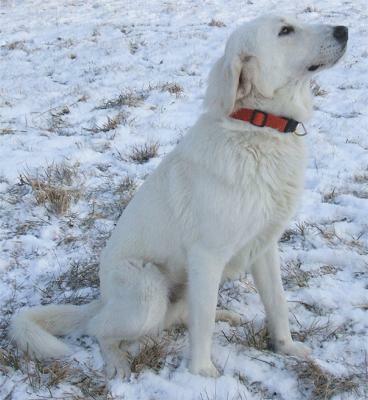 Wayne has the Pyrenees double-rear dewclaws, but has a very short coat. Wayne is a wonderful dog and is just waiting for you to make him your own. Will you give Quentin his forever home?